Just over 4 years ago I attended an ICT Conference where practitioners share innovative ideas. At the end of one of the sessions I "privately" asked the speaker: "how many teachers in your school doing what you have talked about?" he said: "only me". why???? What this teacher is doing in his school is brilliant, why is nobody buying into the idea? ?what is the purpose in him doing this session on behalf of his school if they themselves are not doing what they say!! 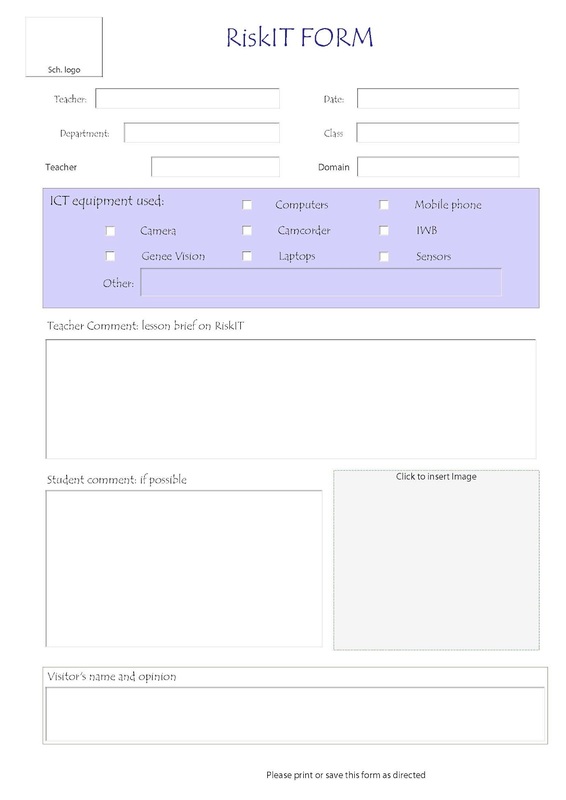 I have been teaching/coordinating ICT for about 15 years and I have been having the same problem as this teacher: how can I make "All" my teachers use ICT with students?. reasons varies with schools but the heart of the problem is: confidence and fear of failure. terachers do not like to be labeled as "bad" teachers and loose control of their students. This is until I came up with the idea of RiskIT Week© about four years ago. The first thing I did was to get the SMT/ELT (extended and senior managment team) on board. I had to explain to them that once staff start these sessions they must be visited by them on a strictly "non-judgmental" capacity. they can only look and highlight the positives, no negatives. This will give teachers confidence to get out of their shells and stay there. I managed to identify two weeks in school calendar where there are no exams or anything that could add pressure on staff. then I advertised it through all means available to me: email, word of mouth, staff briefing, through the headteacher, departmental meetings etc.. I sent a form to all staff and asking them to fill it with a session they would like to run. They is only one condition: staff need to run a session with students using a piece of ICT (Hardware or Software) that they have not used before. I collected all the names of staff and lessons they wish to do, through this pdf form. I kept reminding ELT/SMT of the sessions happening on the day. Every morning I email the them "Today's Sessions" so that they can visit the session allocated to them (a brief visit is preferred). They will then write an "Opinion Sheet" and not and evaluation sheet. all the comments have to be positive. 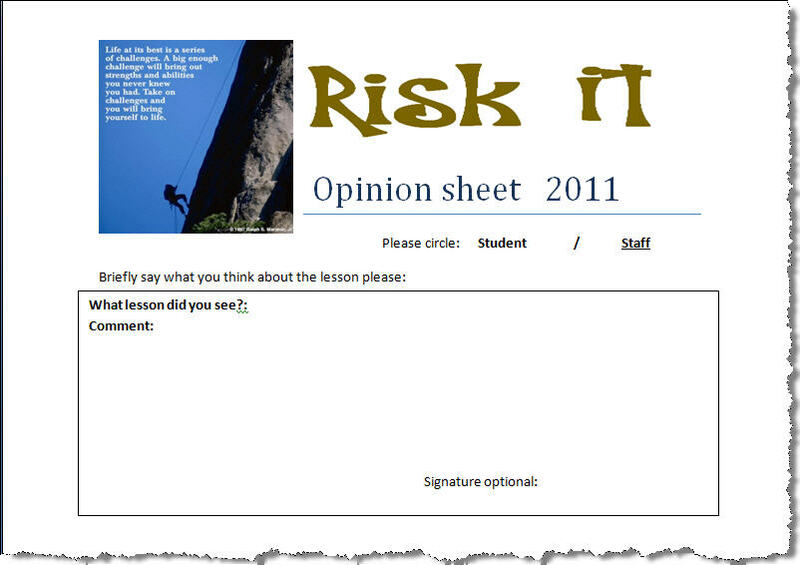 The teacher him/herself has to write an opinion sheet and they should ask 2 or 3 students to do the same. These sheets are collected and shared with the rest of staff in order to generate interest the following year. also it is part of creating a culture in school where people share ideas and work in teams. Like everyone else, teachers like to be appreciated and complemented on the work they do, without that they will not go the extra mile. the ICT they will use should not be a burden, if it is they must not go ahead with it. there is nothing they need to change in their planning, lesson objectives should stay the same, the method will be different. they should not worry if the lesson fails completely, that is how we all learn, they should not be put off, try again..
if you enjoyed it.... why don't you do it again with a different class?? ?